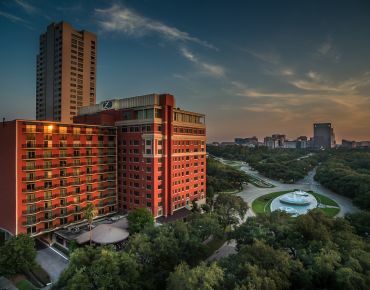 Find yourself exactly where you want to be: in the vibrant heart of downtown Austin. 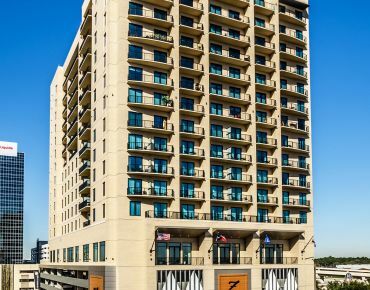 Surrounded by world-class restaurants, shopping, and entertainment, Hotel ZaZa Austin offers both business and leisure travelers unparalleled comfort, style, and convenience in an ideal location. 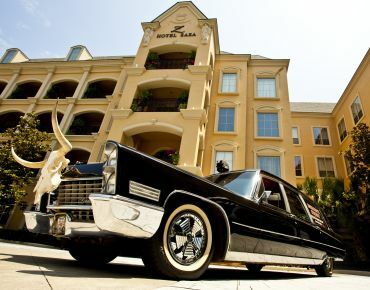 Stay at our unique hotel in downtown Austin and choose from 159 luxurious guest rooms, each offering comfort and style at every turn. Kick your productivity into high gear with 8,500 square feet of meeting and event space. Indulge your senses and unwind at the ZaSpa. Delight your taste buds with cocktails and bites at Perfect Strangers, our lobby-level bar and restaurant, or the 7th Floor Lounge. There are endless ways spend your time with us, but one thing is for sure: you’ll be ready to book your next stay before you even check out. 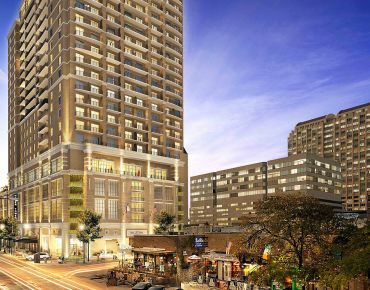 Hotel ZaZa Austin is now taking reservations for 2019. For more information, please email austin@hotelzaza.com or contact us using the form below. Situated in Austin’s vibrant Warehouse District, Hotel ZaZa Austin will bring travelers a hotel experience that can only be defined as authentically Austin. 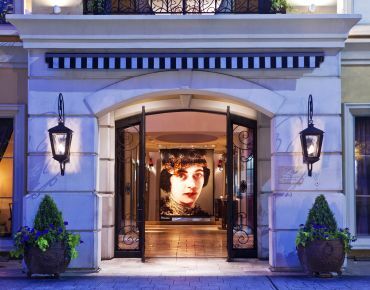 Elemental and visually arresting, Hotel ZaZa Austin is an eclectic fusion of textures, intricate detail, luxury and comfort. The Bullock Texas State History Museum, is a history museum in Austin, Texas. The museum is owned by the Texas State Preservation Board. Its stated mission is to tell "the Story of Texas." The history museum is named after Bob Bullock, who championed its creation. An evolution of the Austin Children's Museum, Thinkery is Austin's home for “why” and “how.” It's a place where science and families play side by side. The Jack S. Blanton Museum of Art at the University of Texas at Austin is one of the largest university art museums in the U.S. with 189,340 square feet devoted to temporary exhibitions, permanent collection galleries, storage, administrative offices, classrooms, a print study room, an auditorium, shop, and cafe. The Contemporary Austin is Austin, Texas's primary community art museum, consisting of two primary locations and an art school. The Contemporary Austin reflects the spectrum of contemporary art through exhibitions, commissions, education, and the collection. Found near Central Austin, the University of Texas at Austin is one of the city’s biggest attractions. Drawing thousands of students, parents, and faculty to the city each year, UT Austin offers lots of opportunity for fun and excitement. On campus, find popular destinations including the Blanton Museum of Art, Cactus Cafe, the Darrell K Royal-Texas Memorial Stadium, and the LBJ Presidential Library. In the heart of Austin is the Ann and Roy Butler Hike-and-Bike Trail at Lady Bird Lake, a lush, urban path that meanders along the water’s edge and passes by skyscrapers, neighborhoods, ball fields and cultural attractions. Within Zilker Park's 358 acres lies one of the crown jewels of Austin - Barton Springs Pool. The pool itself measures three acres in size, and is fed from underground springs with an average temperature of 68-70 degrees, ideal for year-round swimming. Circuit of The Americas is a grade 1 FIA specification 3.427-mile motor racing facility located in Austin, Texas, on the southeastern periphery of Austin city limits, in Central Texas.